As is so often the case, I was oblivious. For years I thought people went to Bertucci’s for the pizza. But it was the rolls. It has always been the rolls. When the Northborough-based chain filed for Chapter 11 bankruptcy last month, the Internet filled with lament: People’s childhoods, spent gorging on Bertucci’s rolls, were now over, they said. They could not survive without the rolls. They made plans to stockpile them. (Easy, tiger: 29 Massachusetts locations remain open.) They fretted that they had eaten so many free rolls they, personally, might be responsible for the chain’s slide into insolvency. I hate to break it to you. Objectively speaking, the rolls are not that good. Irrational indeed. The rolls have a strange, mottled skin, like a freckled person with a tan. Their insides are doughy and bland. Their chief attribute seems to be that they are served piping hot. It says something about the expectations of the American diner that people get so excited about a product arriving to the table at the temperature it is best served. The country is in a weird moment. With bread, I mean. America is suddenly so intolerant. Of gluten, I mean. Half the population has decided “carbs” are evil. But also our bread is better than ever. Bakers have embraced Old World methods. It is possible to find loaves of tangy, chewy sourdough with gorgeous, crackling crusts at your local supermarket. Whole-grain, artisanal breads have taken over the country — dark ryes, whole wheats. The dominance of white flour is threatened. In these uncertain times, Bertucci’s rolls can be a comfort. They have a middle-of-the-road crumb, a middle-of-the-road structure. 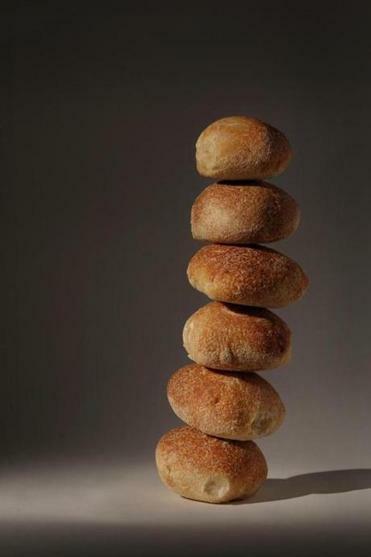 No one feels alienated by a Bertucci’s roll. If Bertucci’s rolls were NFL players, they would definitely stand for the national anthem. It is important to look at Bertucci’s rolls in historical context. They are chewy. They have texture. In Boston, when they were introduced, this must have seemed revolutionary. This was Parker House territory. After more than a century eating cotton bolls with pats of butter, we finally had something to sink our teeth into. So who invented the recipe? Did a food scientist spend hours tinkering in a lab? Are the rolls made from some magical strain of super-gluten flour from Italy? Only one man could answer my questions. I called Joey Crugnale, the founder of Bertucci’s. Crugnale, it turns out, is also the inventor of the rolls. It was no surprise to him that everyone loved them. These days Crugnale has a brick oven of his own and makes most of his pizza in his backyard. But on a recent night at the West Roxbury branch, it seems like the rest of the world is at Bertucci’s. You’d never guess the outfit was in trouble. My son and I eat dinner for about $10: lentil soup and a kid’s meal, complete with a ball of dough to play with (a friend’s brother once ate the whole ball and declared it delicious). Our server treats us like we’re spending $100. We will miss this kind of family restaurant when it’s gone, steamrolled by fast-casual concepts. We tuck into the basket of rolls, preternaturally hot, perfectly fresh, swiped through a little dish of olive oil flavored with garlic and Parmesan. Soon we have eaten them all. “Would you like more rolls?” the server asks. He already knows the answer.